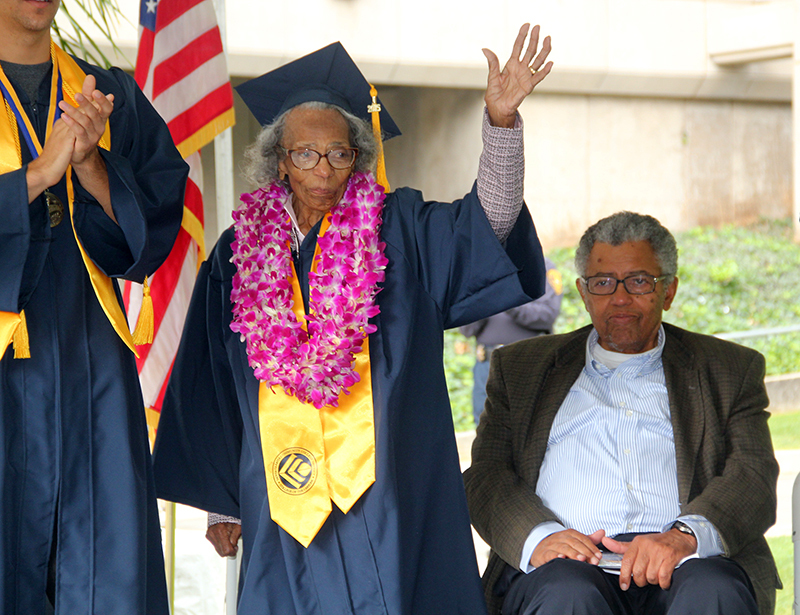 SCVHistory.com | People | Doreetha Daniels, 99, Makes History as COC's Oldest Graduate, 6-5-2015. 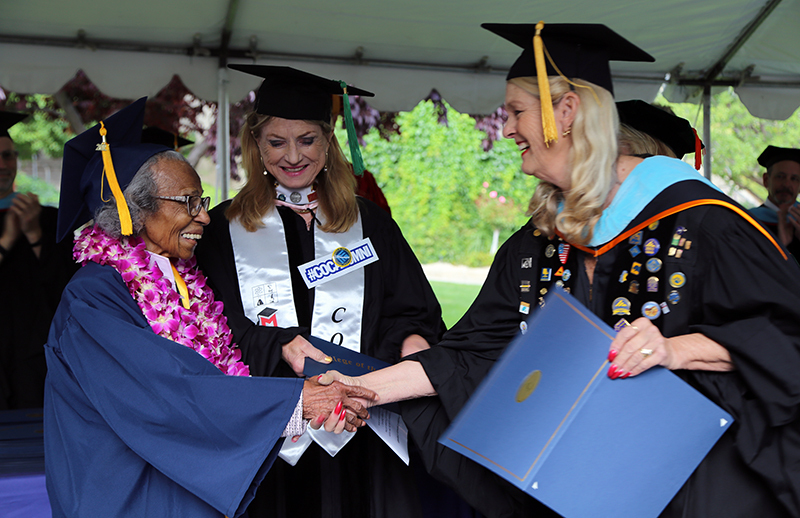 Longtime Agua Dulce resident Doreetha Daniels marched into the history books Friday, June 5, 2015, when at age 99 she became the oldest person ever to graduate from College of the Canyons. The United States had not yet entered World War I when Doreetha was born in Hastings, Neb., on Saturday, April 25, 1916. 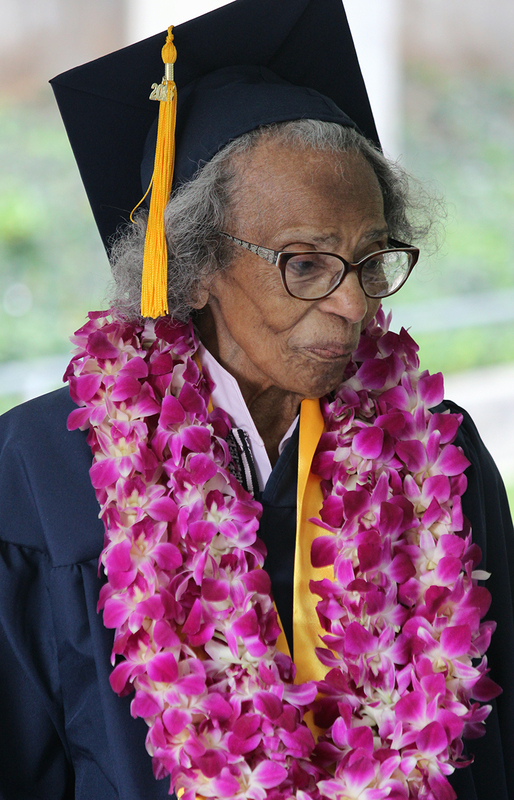 Doreetha completed high school there in 1934 and came to Los Angeles with the intention of becoming a nurse. 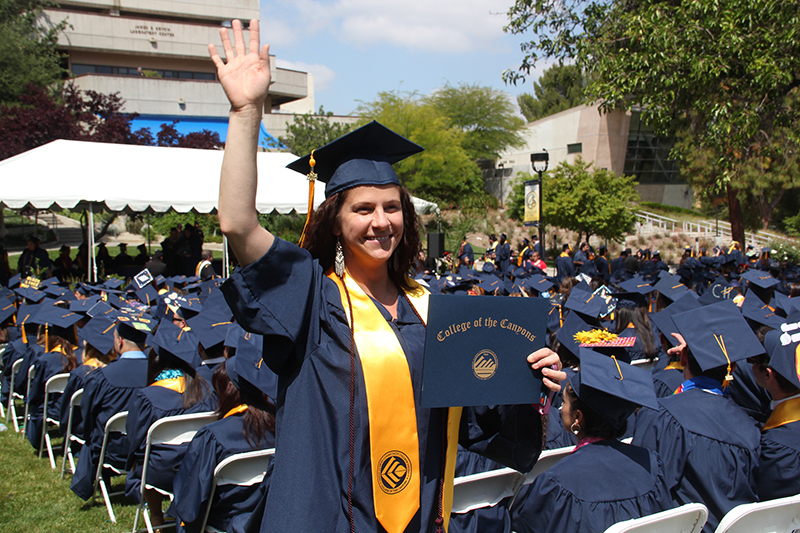 But there were no nursing jobs available for out-of-state residents, so she found a job in the parts supply department of aircraft manufacturer McDonnell Douglas. At church, she met the man who would become her husband, Robert Daniels. They had two sons, Robert Jr. and Raymond. When they discovered that one of their sons suffered from asthma, they searched for a warmer climate and packed their bags for Agua Dulce. The year was 1947. They had not yet finished building their home when they arrived, so they lived in a tent for a year or so. Robert drove to work in Santa Monica via old Highway 6 (Sierra Highway), there being no 14 or 5 freeways at the time. The boys attended school in Acton. Robert Jr. graduated from Acton School (as class president) in 1952. 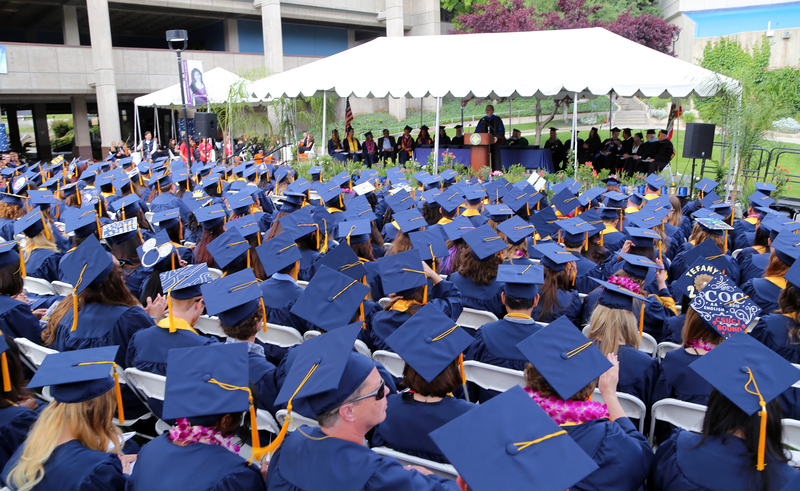 Raymond graduated in 1955. Robert Jr. became an engineer, Raymond an attorney. 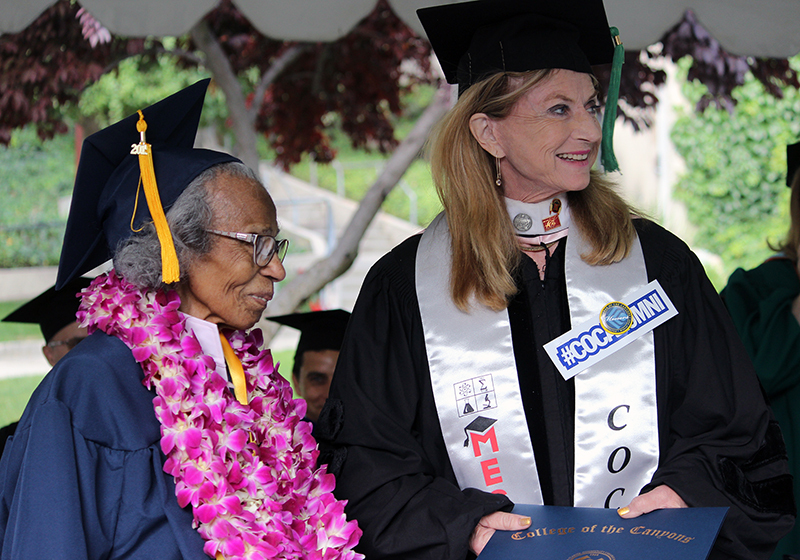 Doreetha immersed herself in the community from the get-go. She was one of the founding members of the Agua Dulce Women's Club (originally called the Mothers Club) when it organized Sept. 23, 1948, and she helped establish the clubhouse at 33201 Agua Dulce Canyon Road. Doreetha served as president of the Women's Club in 1978. She also participated in the Agua Dulce Civic Association and served three years as president of the Agua Dulce Seniors Club. In 1988, after 50 years of marriage, Robert Sr. died. Doreetha then started traveling the world, often with son Raymond. When at home, she practiced fine art and candy-making. 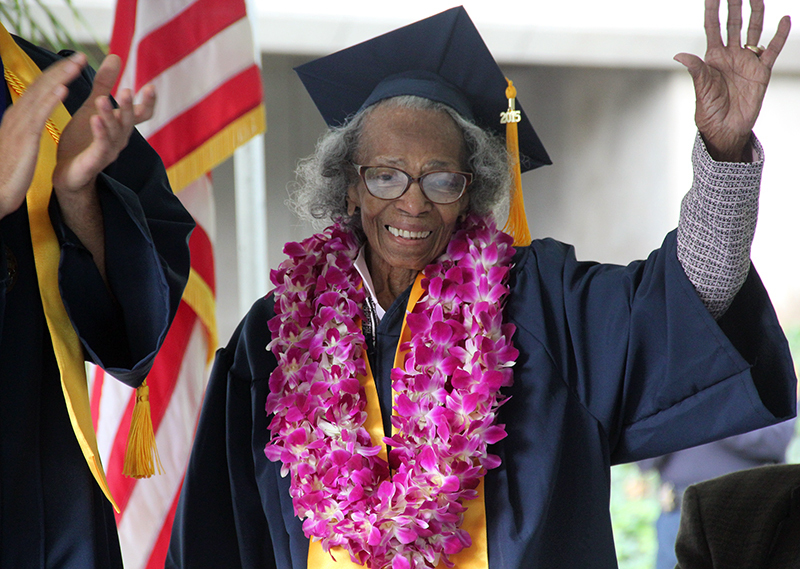 She also volunteered with the AARP driver safety course, 55 Alive; and she volunteered every other week at Henry Mayo Newhall Hospital in Valencia. In 1989 and again in 2006, Doreetha and her family were named Agua Dulce's Pioneer Family of the Year — as of 2015, the only one to be so honored twice — and she served as grand marshal of the Agua Dulce Country Fair parade in 2008. 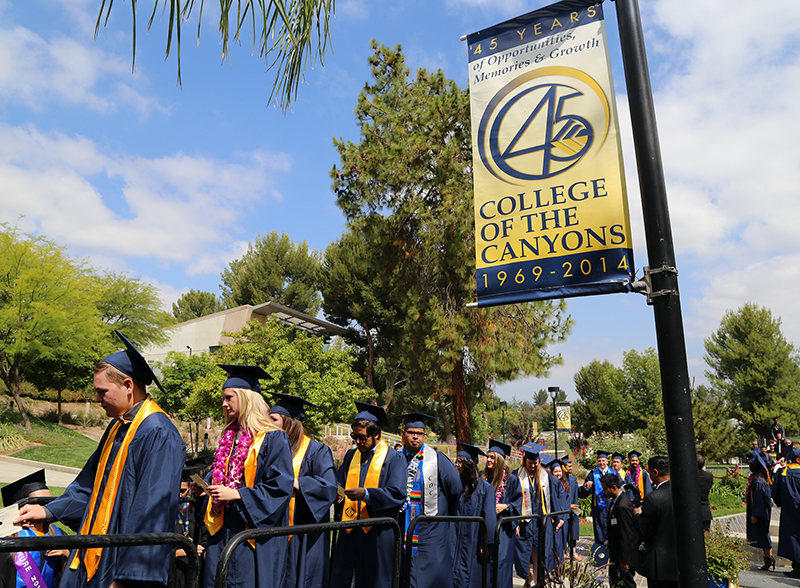 In 2009, she enrolled in courses at COC's Canyon Country campus in pursuit of one more goal — earning a college degree before she turned 100. 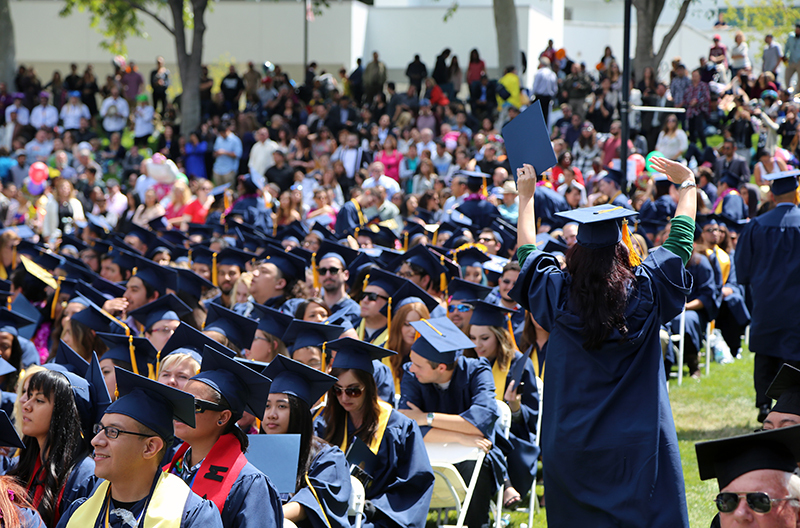 9600 dpi jpegs from digital images (photographs) by Jesse Munoz and Ernie Stone, COC Public Information | Original jpegs on file.